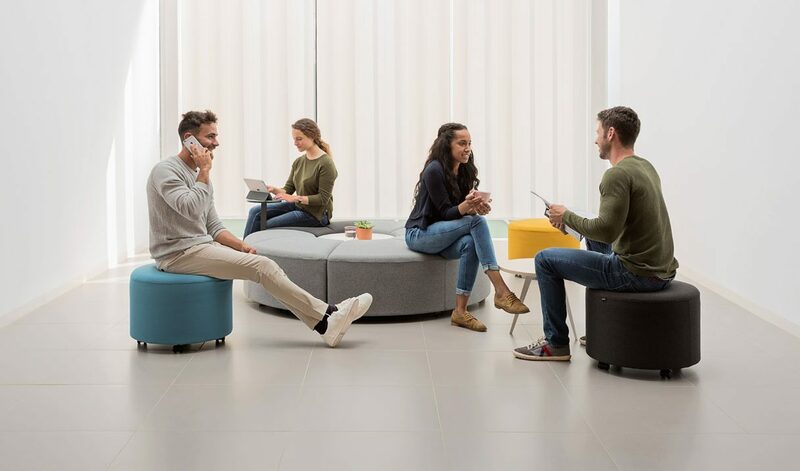 Bend soft seating allows you to create comfortable and informal meeting points that foster communication among people. 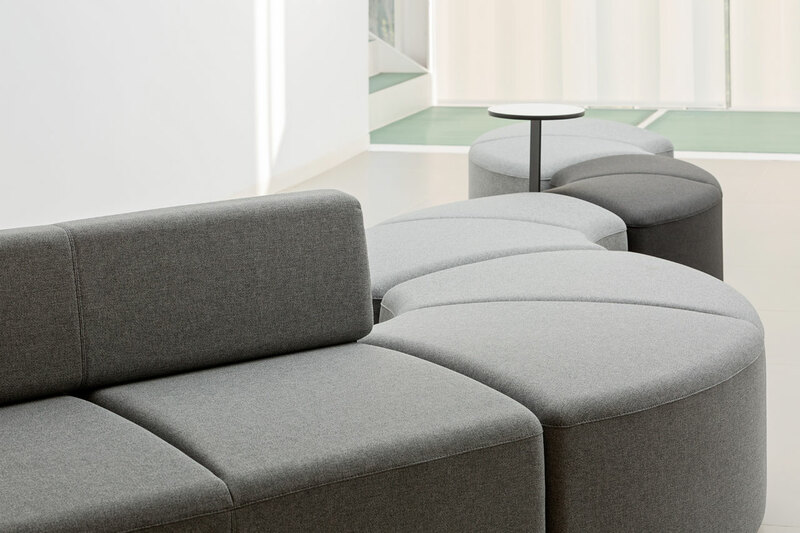 Its simple design and appearance invites you to take a seat. 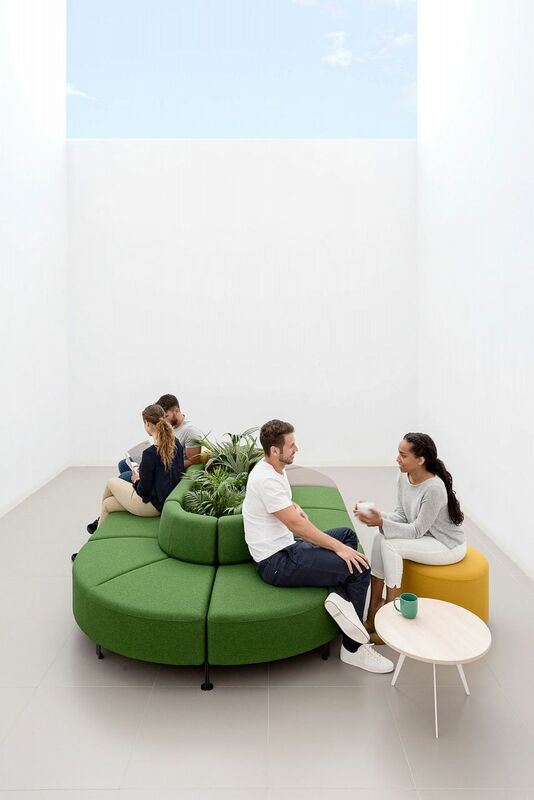 Bend is made up of 4 different modules that can be connected to one another, including forming a closed circle perfect for group work. The possibilities are endless, the only limit is your imagination. 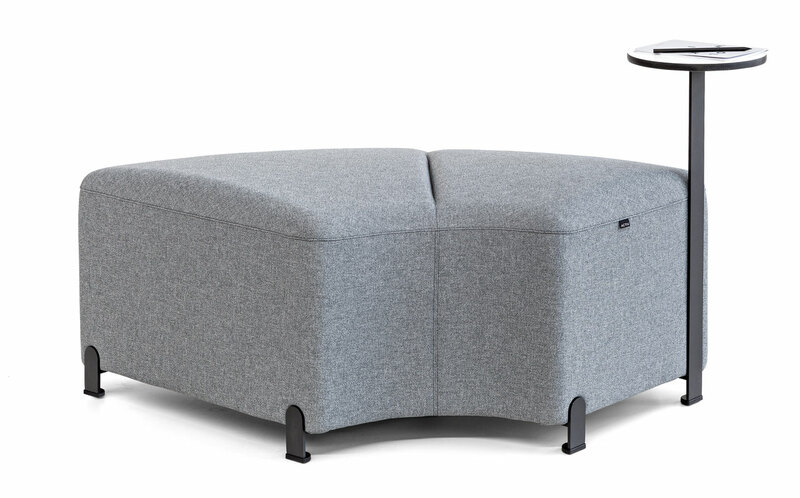 The wooden finish on the legs adds an extra warmth and relaxed tone to any workplace or commercial fit out. 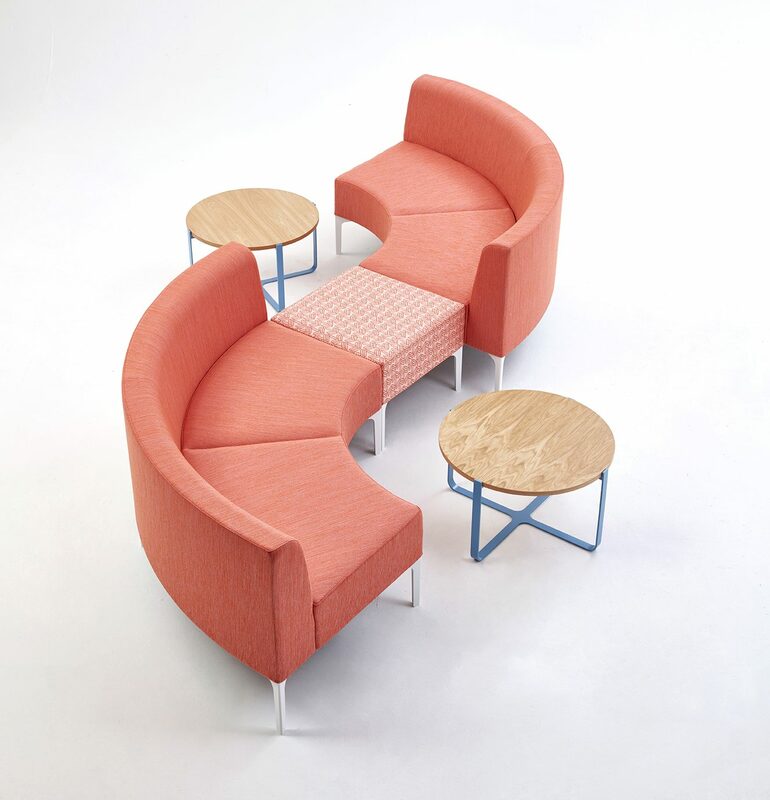 There are 3 bend series available, each with seating modules to plan your configuration. 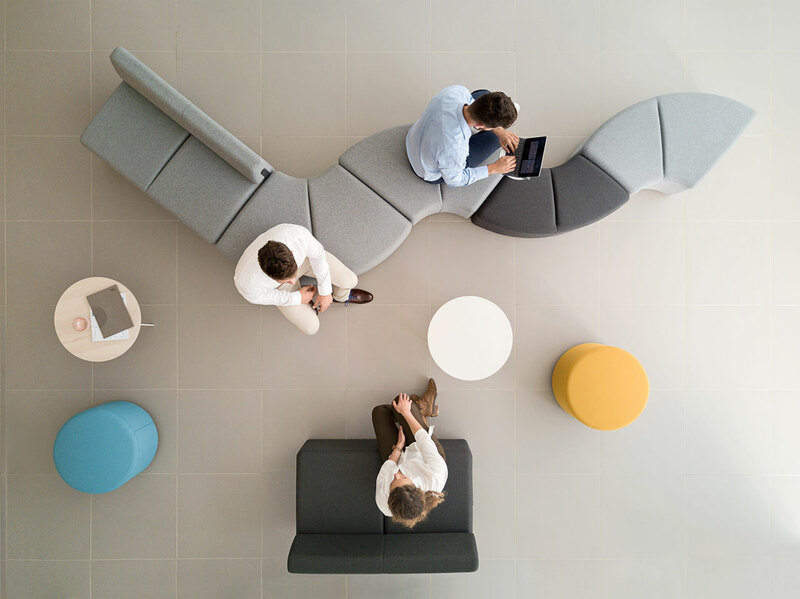 Bend is available with different accessories including round modules that can ‘orbit’ around the Bend layout, adding to its dynamism. - Each module has 4 legs made of folded steel painted in black or beech wood. The curve module includes an additional 5th leg with leveller that increases stability - modules rest 5cm above ground floor level. 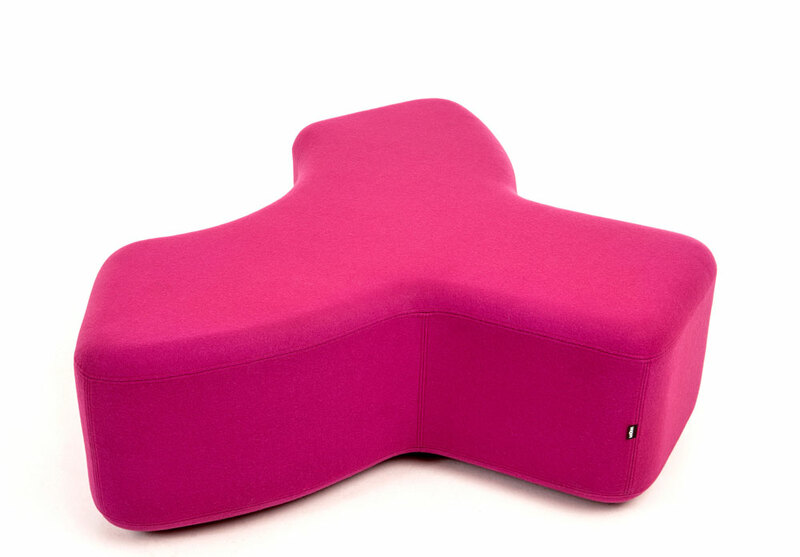 - Seat made with inner wood frame covered with PU (polyurethane) flexible moulded foam density of 55-60 kg/m3. 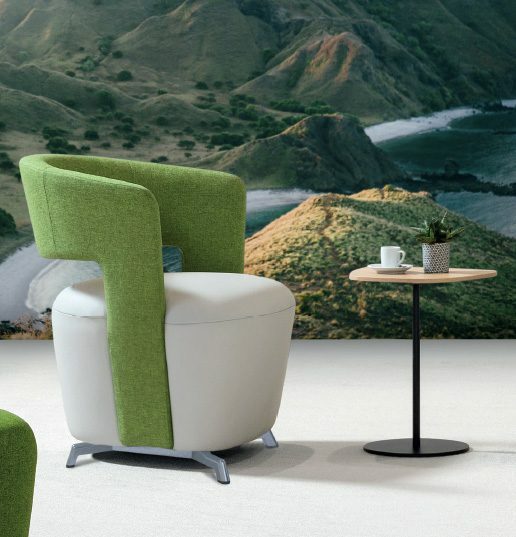 Upholstered seat and backrest available in a wide range of fabrics. Sewing detail on the seat top provides singularity.